Great and Holy Saturday. 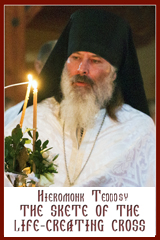 Our Venerable Father Theodore Trichinas (that is, the one who wears a hair shirt); Holy Anastasius of Mt. Sinai (686); Matins - Ezekiel 37:1-14; 1 Corinthians 5:6-8; Galatians 3:13,14; Matthew 27:62-66; Vespers - Genesis 1:1-13; Isaiah 60:1-16; Exodus 12:1-11; The Book of Jonah; Joshua 5:10-15; Exodus 13:20-15:19; Zephaniah 3:8-15; 1 Kings 17:8-24; Isaiah 61:I0-62:5; Genesis 22:1-18; Isaiah 61:1-9; 2 Kings 4:8-37; Isaiah 63:11-64:5; Jeremiah 31:31-34; Daniel 3:1-23 and the Song of the Holy Children (Apocrypha); Liturgy - Romans 6:3-11; Matthew 28:1-20. 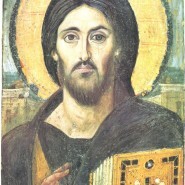 Great and Holy Week. Abstention from meat and foods that contain meat. Vespers with the Divine Liturgy of St. Basil the Great is celebrated today in the late afternoon or early evening.